Florida is known for constantly sunny days, white sands and long beaches, and a gazillion things to do. Pensacola Beach is one of Florida’s many resort communities, directly at the Gulf Coast, located in Florida’s panhandle. Pensacola has a long history being one of the earliest European settlements beginning with Tristán de Luna who founded a short-lived settlement in 1559. Pensacola gained notoriety during the second world war as the location of being the first “Naval Air Station” in the US. Due to its rich history, Pensacola carries many nicknames, like “The Cradle of Naval Aviation,” “Western Gate to the Sunshine State,” “America’s First Settlement,” ”Emerald Coast,” “P-cola” as well as “World’s Whitest Beaches.” There are many things do to in and around Pensacola. One of the main attractions is the “Naval Air Museum” directly located on the still active Navy base, and then there is “Fort Pickens” the national park, historic downtown Pensacola, and many other locations. Depending on your preference, you can choose from a variety of small or rather large beach hotels. Each morning you will be picked up and brought to the boat launch in less than 10 minutes. 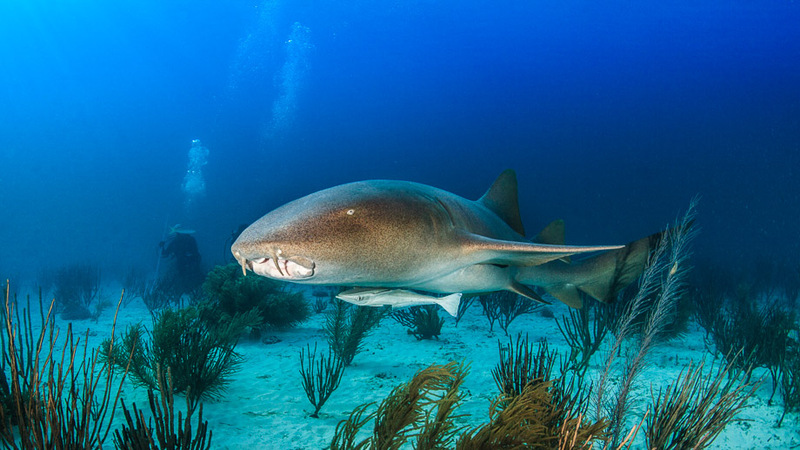 The most prominent species you will encounter are the bull sharks and the sandbar sharks, nurse sharks are mostly present, as well. 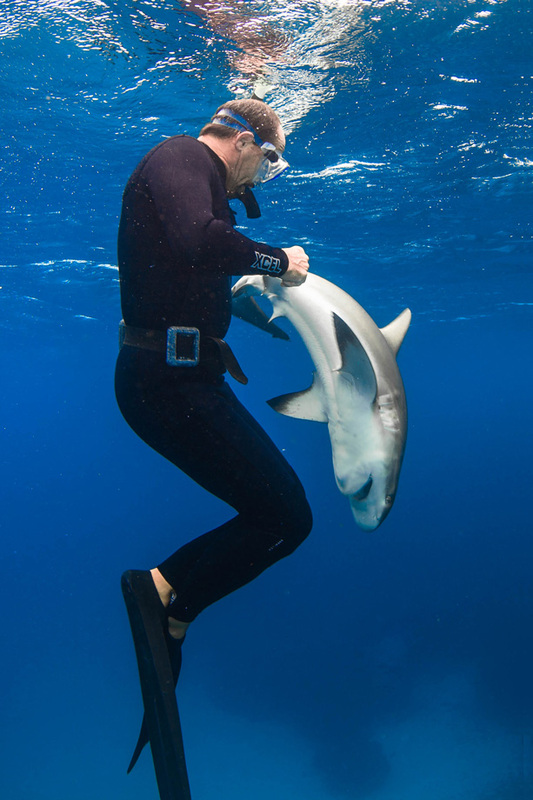 We normally do two dives at the site and will be back on land in the early afternoon hours. Lectures will be held directly in the hotel you reside. 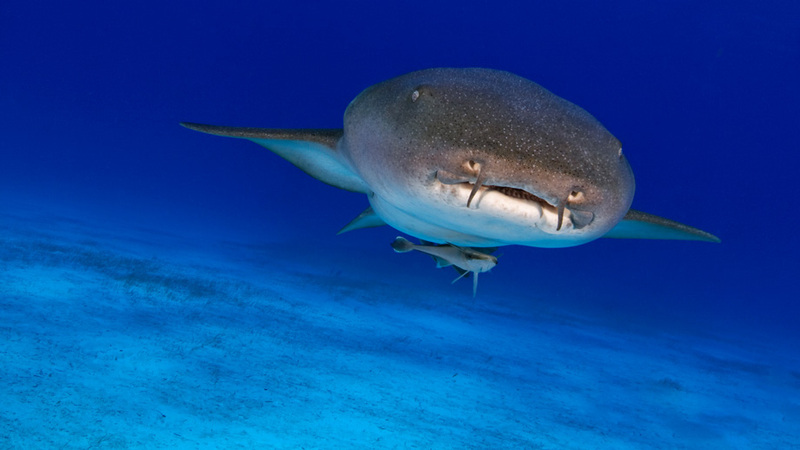 There are other incredible dive sites, like the famous carrier wreck “USS Oriskany” which is also nicknamed “The Great Carrier Reef.” The diving with sharks is rather easy since there is mostly good visibility and low current. 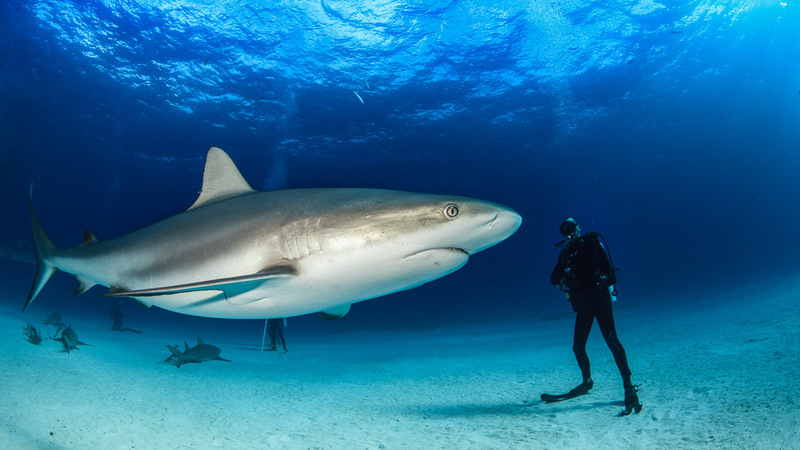 Depending on the experience level of participants, we teach a variety of courses in Pensacola Beach, beginning with the all-time favorite “shark-human interaction 1” workshop. 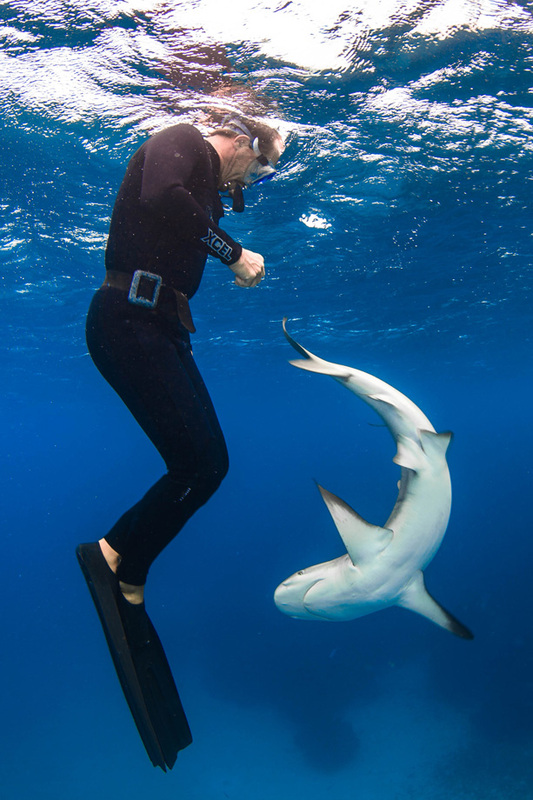 Divers who already took that class can choose between interaction 2, 3 or even the bite seminar.